It has been a while since we published a post, as we have been busy and very privileged to see several projects that we have been appointed as architects for proceeding to the construction site, and successfully commencing the process of moving from paper to becoming a reality in the built environment. 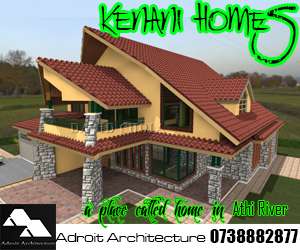 Being an architect in Kenya is a marvellous boon at such a time as the building industry has seen steady growth after many decades of stagnation during the eighties and nineties. Indeed there has been a pent up energy in the construction sector fuelled by the demand for housing, commercial space and expansion of our economic activity in the land. All manner of buildings, both large or small have come up. Sadly though, not all buildings are of the quality both aesthetically and functionally that they ought to be. The construction industry has grown in leaps and bounds, leading to the embracing of new ways of doing things in the process of development of buildings. The quality of buildings can be weighed against many benchmarks including their functionality, their building cost, their aesthetic quality, and level of sustainability with regards to their energy and water use, internal comfort, land use, and many other issues. The sad thing is that many Kenyans may end up constructing buildings that fail in one or more of these areas especially due to their desire to do a building that is cheap. Herein lies the problem with many of our constructions in Kenya. The harsh truth is that the many a client seeks to engage kenyan architects on a greatly discounted rate of fees, in a bid to cut down expenses of their projects. The Architects and Quantity Surveyors Act cap 525 has gone into great detail with regards to what architects and quantity surveyors need to be paid for them to execute building consultancy services during the process of carrying a building’s construction from its inception right through its design, and finally to the completion of construction. It goes into great detail to spell out what services may be expected of an architect at each stage, such that a client is both well informed and is better able to walk with their building consultants in the process of achieving their building. When one looks at the process of undertaking a building project, there is an accretive process that builds one stage upon the other until the project is completed on the ground. The truth is that each process of construction requires time and input from an architect at each stage. This is work that needs to be billed at a reasonable rate to the client in order for it to be done in a sustainable manner. Buildings often take a period of 18 months to 2 years from their onset, to the point when they are realised in the built environment. During this period, there are plenty of process that must be undertaken technically, professionally, and administratively to get a project to run right. 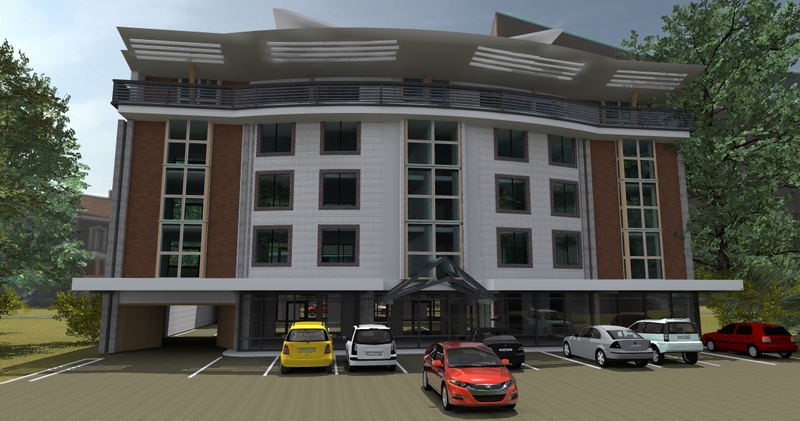 It commences with site studies, design conceptualization, production of initial drawings, 3D visualization of the project and presentation to a client. Thereafter, should the project be approved, it goes into a further process of schematic designs and detailing upon which it is submitted for approval. Thereafter, it goes through the process of preparation of project documentation such as bills of quantities, detailed design work of special areas like doors, windows, joinery items and general interior design of the project. 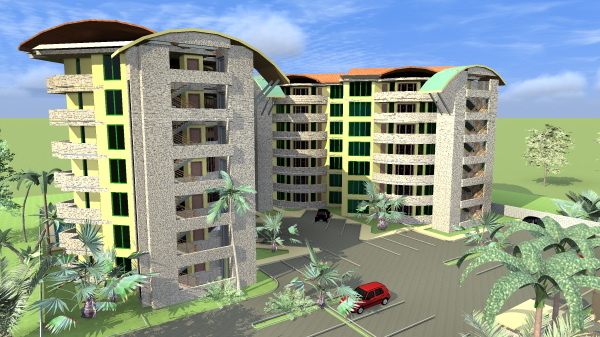 Thereafter, the architect in Kenya would require to liaise with other partner consultants in the quantity surveying, electrical and mechanical engineering as well as structural engineering professions to ensure that they in turn have dealt with the work required of their disciplines to ensure that the designed product is properly synchronised and representative before it goes to a building site. This is a more project managerial role but it is one that the architect must play to ensure that the construction documentation being being produced is of proper quality and is complete. It is important for clients to note that these processes done prior to a construction are extremely key to the success of the building project in a holistic manner. They take valuable professional time and effort by the consultant, especially the Kenyan architect who will be required to lead the team through this process. So what exactly is a Kenyan architect required to charge for their services? Failure by the client to properly remunerate a building professional in each of these areas will lead to shoddy or incomplete work, that someone will need to undertake later on. Broadly speaking, the architects and Quantity Surveyors Act stipulates four main stages of the consultancy process during the construction of a project. 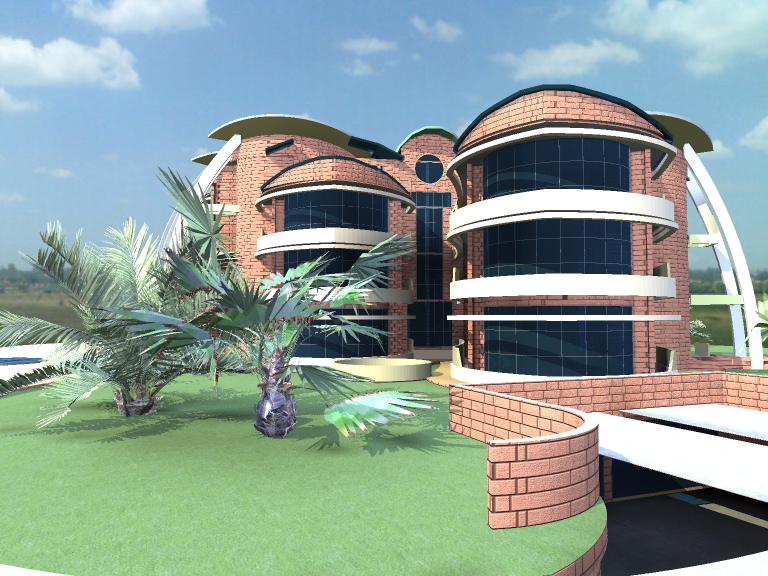 Project inception and outline design – which leads to preparation of initial sketches of how a building will look like and how it will function within. 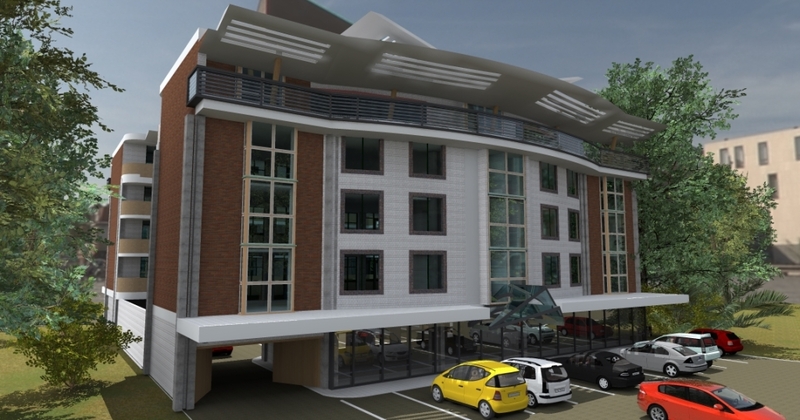 This will give a client good preliminary understanding of how big their project is, how it will work and how it will look, as well as how it will be located on the site. When accompanied with a preliminary estimate based on floor area it will assist a client to set the basic cost limits for their project. This accounts for 15% of an architect’s fees. 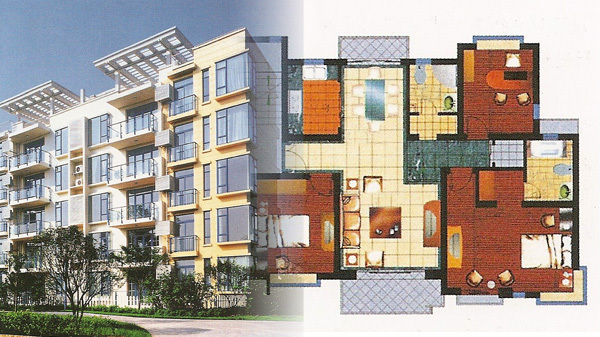 Schematic design – production of small scaled drawings with basic dimensions of the building, typically at scales such as 1:200 or 1:100 and give a higher level of detail than the preliminary sketches. However these drawings carry no major details and are usually sufficient for obtaining building approvals by municipal councils and statutory authorities. Truth is, they can be used for construction in very rudimentary terms should a client not be able to get an architect to go the whole way with them. However there are still very many gaps that the client will need to fill with his contractor during construction should one choose to use these drawings for their construction, as lots of construction details and finishes are not shown at this level. This accounts for 25% of an architect’s fees. 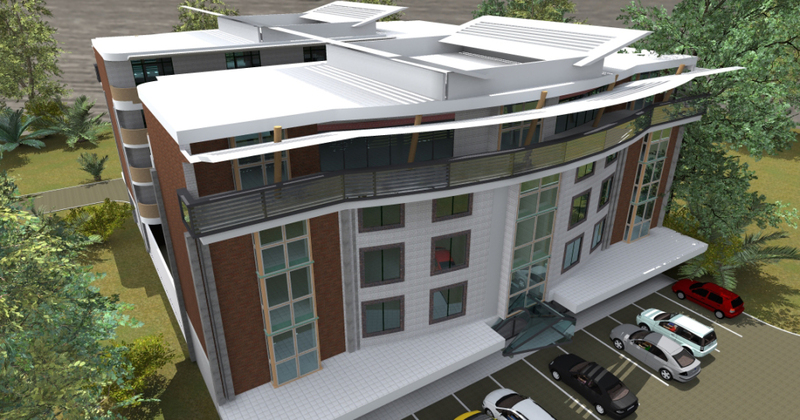 Detail Design – the drawings are taken to high detail resolution, showing how things work in the building on a micro scale. Items that are often overlooked in buildings including how window and door openings work, how kitchens shall be constructed, how toilets shall be built, tiled and finished, how joinery items like cabinets and counters shall be arranged and look like, their dimensions, etc. are included on these drawings. In a nutshell major interior design components are resolved at this level of design, and many details are produced at this level. If you want a fully designed building, you need to get this done for you, but with one rider… you need to pay for an architect accordingly to do design to this level which is quite painstaking. Its not surprising that this stage accounts for 35% of an architect’s fees. Tender action and construction supervision – This is the process of getting a contractor on board, either through direct selection or tendering. In addition, the architect works with a quantity surveyor and services engineers here to get all contract pricing and documentation in a manner that is legal to enable a client to enter into a safe building contract agreement with the contractor who will do the construction of their building. 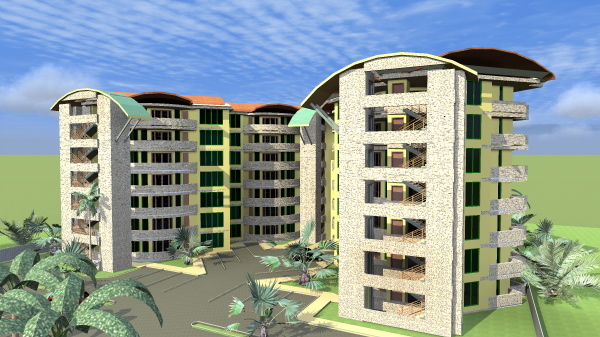 In addition, the kenyan architect together with their consultancy team shall commence the process of supervision of the contractor during the construction period, right up to completion of the building project, which is what we call practical completion. This accounts for the final 25% of an architect’s fees. The Architects and Quantity Surveyors Act stipulates that an architect in Kenya shall charge a mandatory minimum fee of SIX PERCENT (6%) of a project’s construction cost should they execute all these services during a construction project FOR NEW PROJECTS. Any reduction of this fee should be accompanied with a reduction of the level of service that they are required to carry out at that level of the project. This fee is also charged across all East African states. Rehabilitations and renovations to existing projects are charged higher, at 10% of the construction cost as per the Act. 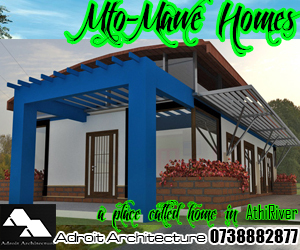 There are those projects that architects may require to render services based on time basis, especially government and world bank projects. In this case, the architect is required to give a quote based on the time they believe they will require to undertake a building project, then give a rate of fees per hour, day or man month to carry out their professional consultancy. This way, should a project need to take longer or shorter to be undertaken, this will already be factored in as the consultant would charge based on time they will take on site. As a Kenyan architect, I would often use this process to charge for private projects that are difficult to quantify actual construction cost, or carrying out consultancy as a ‘visiting’ architect. The point is that a builder will require to spend a fixed amount of cash investing in a particular building. The cost of building material in a badly designed building would cost the same as that same quantity of building material in a well designed building. BUT a badly designed building will not cost the same as a well designed building on the open market. Tenants and buyers alike will troop to the well designed building and leave the poor design, forcing the builder of a cheap design to charge less or wait longer to realise revenue from their construction. Are you interested in doing a building project? 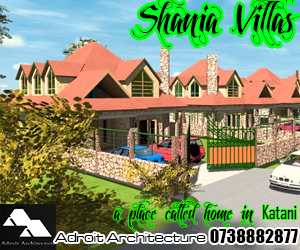 Do engage a competent Kenyan architect to work with you to do it. If you have completed yours recently, did you work with a qualified architect, and how did your building project go? 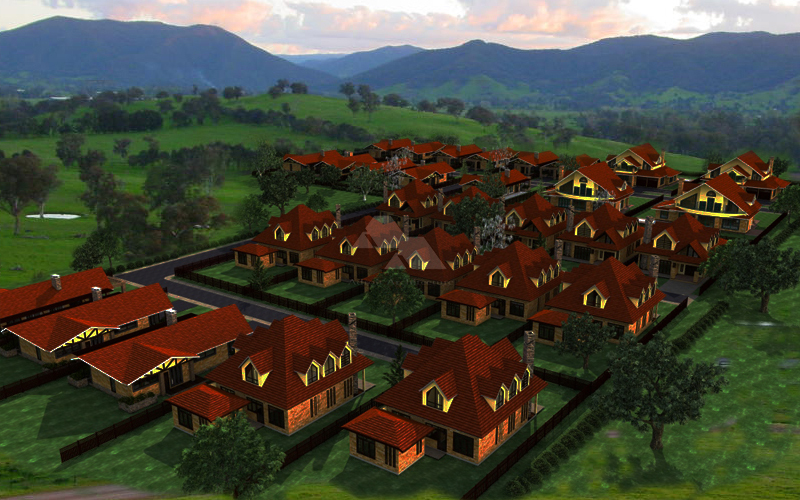 Do you build in rural areas? How much will it cost me for a house of 5 bedrooms all in suite?